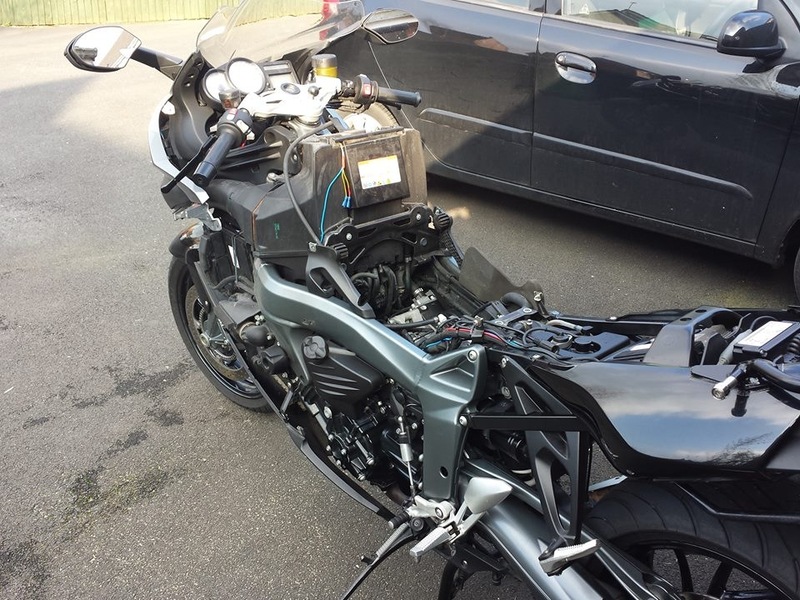 Well on Sunday after my rideout on the ZX-9R I decided in the nice sunny weather to pull the K1300s apart and have a look at the throttle bodies. 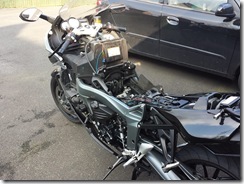 I removed the fairings and the fuel tank, not too difficult of a job in the end. I then actuated the throttle twist grip while looking at the throttle body end. The return spring and cable fully return to the home position every time and it doesn’t appear to stick at all. Now if this is returning then I would guess that the butterflies are returning also. The plastic part that is know to fail on K1200s seemed to be in good condition. So I really don’t think that the throttle bodies are the issue and the twist grip doesn’t seem to stick either. Unfortunately due to it being SORN at the moment I can’t take the bike out for a spin to check whether it does it when the bike is moving and warm. I guess I will just have to take it for the MOT and hope it doesn’t occur during the test and then leave it until it becomes more apparent.